Many thanks to j1m0ne for providing the scan! She has done her own detailed report of Maaya’s concert at the Budokan and you can read it here. 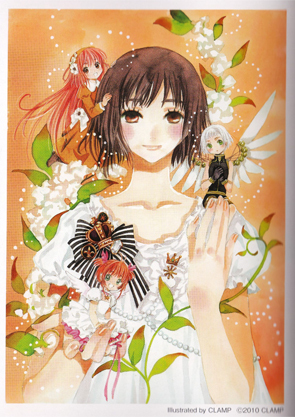 The pamphlet with CLAMP’s drawing is available for purchase in Maaya Sakamoto’s official store. Yeah, it looks sketchy! Kobato.’s style is somehow sketchy too. In fact, Maaya looks very much like Kobato in this picture xD The pink cheekbones. HOORAY!! I’ve been looking for a bigger version for some time now. Thanks j1m0ne and chibiyuuto-san!! Me too! 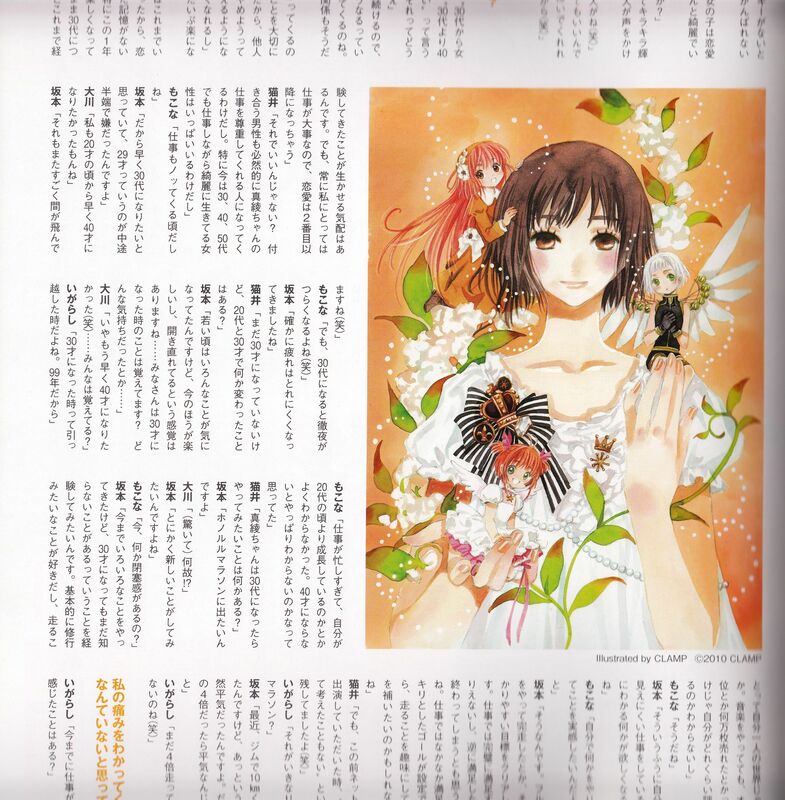 I took the initiative to e-mail her asking to scan it because I feared that we might never see a bigger version of it. Wow, that’s one big hand XD Couldn’t help but to think the the head looks too tiny when you compare it to the rest of the body, so I’m not loving Maaya’s drawing… I like the chibis though. LOL but that’s CLAMP’s style. Nothing new. Lovely nonetheless (to me anyway) 8D Thank you for sharing! I’m an old (belive me, old!) CLAMP reader and it shocked me XD Maybe it has to do with the style they adopted since TRC which I was never able to adapt myself to. But still. Oh, she’s so pretty! I love the detail in the illustration – the watercolour effect is lovely. q bonita la dibujaron ^^ me encanta!